A new pokies test case filed against poker manufacturer Aristocrat is expected to have a large impact on the potential pokie machine reform and the impact of gambling addition in Australia. A lawsuit has been filed against Aristocrat Technologies, one of the world’s largest manufacturers of electronic poker machines, alleging that the machines are in breach of consumer law due to their deceptive features that aim to convince players they are winning when in reality the opposite is true. 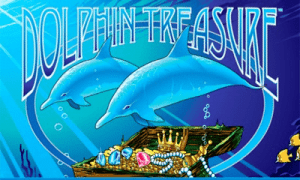 The case has been filed by Maurice Blackburn, one of Australia’s leading compensation and social justice law firms, with the specific aim of stopping the operation of the hugely popular Dolphin Treasure pokie machine. The application has been filed on behalf of South Australian pokies addict Shonica Guy, who lost large sums of money playing on the Dolphin Treasure machine over the course of 14 years. Ms Guy is not claiming compensation for her losses on the machine, but if her case is successful it opens the possibility of many more cases to be filed against Aristocrat and the casino operators and pub owners who offer the Dolphin Treasure machine and other Aristocrat poker machines in their venues. Court documents attest that Aristocrat’s machines are rigged as they feature an uneven distribution of symbols over the reels. Maurice Blackburn lawyer Jacob Varghese likens this uneven distribution to “playing a game of cards without knowing that the deck has four aces of spades, three queens of hearts and seven tens of diamonds,” ultimately giving the player false hopes of a big win. The documents also allege that the machines’ claim of an 88% theoretical return to player is misleading. Anti-pokies crusader, Senator Nick Xenophon, has met with members of the Alliance for Gambling reform and Maurice Blackburn regarding the legal proceedings, saying that the lawsuit could achieve the pokier machine reforms the government has resisted for so long. Xenophon believes the case against Aristocrat will finally bring important publicity to the deceptive features that make poker machines so addictive. Senator Xenophon has been rallying for a national pokies reform, campaigning for a reduction of maximum bets to $1 per spin and capping hourly losses to $120, which he believes to be simple measures that the government can easily legislate. He also believes that further measures to reduce harm need to be put in place, including the elimination of jackpots, removal of the machines ‘gamble’ feature, reducing the spin rate and removing the allegedly deceptive features such as free spins, fake near-misses and losses disguised as wins. 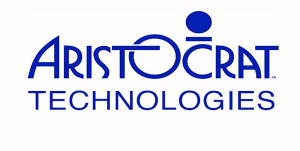 On Wednesday, Aristocrat Technology shares fell by 2.6 per cent, following a large drop in Crown Resort’s shares after the arrest of 18 of its employees in China on suspected gambling crimes. So far Aristocrat has declined to publicly comment on the law suit, but the company has previously said they will vigorously defend any action brought against them. Want to stay in the loop of all the latest news regarding the Aristocrat case and pending pokie reforms? Bookmark our site and check back regularly for all the latest information.